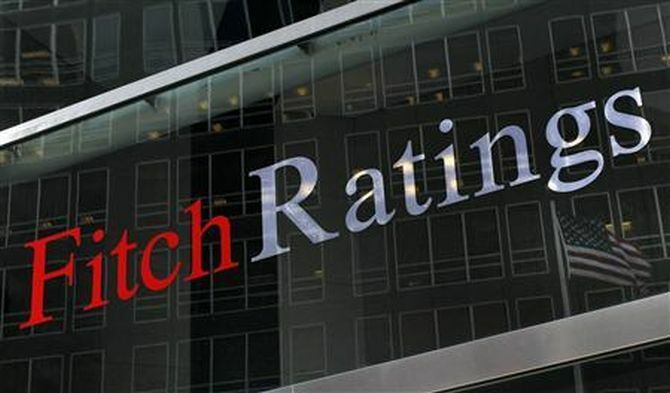 Ahead of the general elections, Fitch on Thursday retained India's sovereign rating at 'BBB-', the lowest investment grade, with stable outlook, saying a weak fiscal position continues to constrain its rating. It had last upgraded India's sovereign rating from 'BB+' to 'BBB-' with a stable outlook on August 1, 2006. "Significant and politically difficult fiscal deficit reduction would be key to meet the general government debt ceiling of 60 per cent of GDP by March 2025, as introduced in the Fiscal Responsibility and Budget Management (FRBM) Act in February 2018,” Fitch said while affirming the country's long-term foreign-currency Issuer Default Rating (IDR) at 'BBB-' with a stable outlook. Fitch said a robust growth outlook continues to support India's credit profile and expects the country to grow at 6.8 per cent to 7.1 per cent in the current fiscal and the next, respectively, supported by accommodative monetary policy, easing of bank regulations, and government spending. The RBI on Thursday cut its GDP growth forecast for the current fiscal by 0.20 per cent to 7.2 per cent. Fitch said as per the official data, India's growth has averaged 7.5 per cent in the five years up to 2018-19, which is more than twice as fast as the historical 'BBB' peer median of 3.6 per cent. For current fiscal, which begun on April 1, the fiscal deficit target has been set at 3.4 per cent. "India continues to exhibit some structural weaknesses relative to peers and is less developed on a number of metrics. Governance standards remain weak, as illustrated by a low score for the World Bank's governance indicator (47th percentile versus the 'BBB' median of 59th percentile). “India's ranking on the United Nations Human Development Index (32nd percentile versus the 'BBB' median of 67th percentile) also indicates relatively low basic human development," Fitch said. India's relatively strong foreign-exchange buffers and the comparatively closed nature of its economy make the country less vulnerable to external shocks than many of its peers. Foreign-currency reserves equal seven months of current external payments, while gross and net external debt levels also compare well with those of peers.